US President Donald Trump says Washington has no plans to extradite Fethullah Gulen, a Turkish religious leader accused by Ankara of orchestrating a deadly coup attempt more than two years ago. "No, it's not under consideration," Trump said on Saturday, when asked whether such move was being contemplated. His comments came days after NBC News reported that the Trump administration had looked at possibly extraditing Gulen to Turkey in an attempt to ease Ankara's pressure on Saudi Arabia, which has increased following last month's killing of journalist Jamal Khashoggi in the Saudi consulate in Istanbul. According to the NBC report, Trump officials asked law enforcement to look into Gulen's residency status in the US and the possibility of reopening the Turkish request for extradition. Saudi Arabia is a key ally of the US, and NBC said Trump could use Gulen as bargaining chip in an attempt to relieve some of Turkey's pressure on Saudi Arabia. Along with the allegations over the failed coup on July 15, 2016, which killed about 300 people, Turkey also accuses Gulen's group of being behind a long-running campaign to overthrow the state through the infiltration of Turkish institutions, in particular the military, the police and the judiciary. 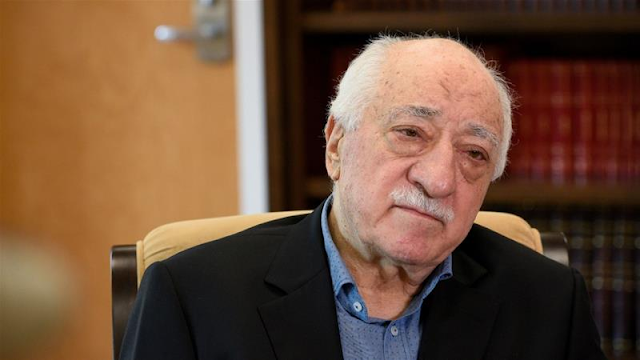 Gulen, an opponent of Turkish President Recep Tayyip Erdogan who lives in exile in the US state of Pennsylvania, has denied the accusations. Turkey has designated Gulen's network, which runs charities, schools and businesses across the world, as a "terrorist organisation" and has launched a widespread crackdown on suspected members since the coup bid. It formally asked the US to arrest and extradite Gulen in August 2016, the month following the failed coup, but so far he has been able to stay in the US. After the failed coup, thousands of Turkish officials, law enforcement officers, soldiers, human rights activists and others were arrested for alleged links to Gulen and his network. The most recent arrests took place in September, when Turkish officials arrested 61 soldiers for connections to Gulen.